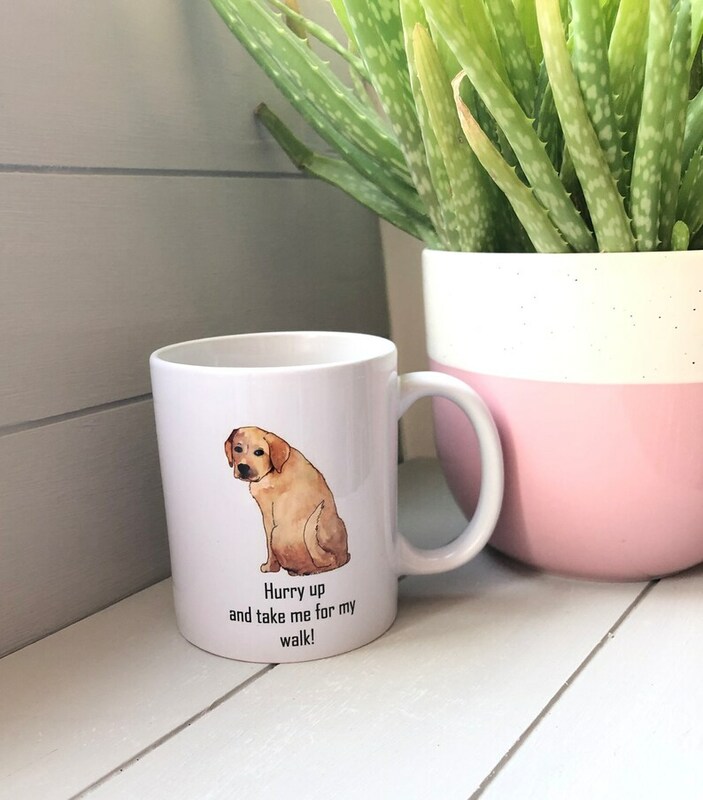 Bespoke Dog mugs Designed to match your pet. Printed on white mug, in gift box. Basic art work is included in the price. More dogs or people added will be slightly extra. Message me for a quote. Helpful to send pictures if you want it matched.